Understanding Your Farming Business equips and supports women involved in sheep and beef farming to lift business performance. Whether you’re farming with others or on your own, you’ll gain the knowledge, skills and confidence needed to help create a positive future. Fully funded by the Red Meat Profit Partnership (RMPP), this programme will ensure you return to your business with fresh eyes, be equipped to play a greater part in decision making and be able to communicate powerfully with farming partners, financial advisors and rural professionals. In 2019, UYFB will be held in 39 regions throughout New Zealand. Each programme is held over four months – three full days plus an evening graduation ceremony, with all details confirmed with you before the programmes starts. Each programme is limited to 16 women, so register your place now via the ‘Register for UYFB 2019’ button below. 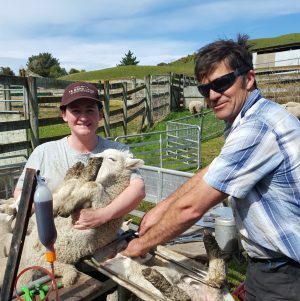 North Otago sheep, beef and deer farmers, Jeff and Di Cleveland, are seeing more of each other as they team up after Di made two decisions that changed how she views her role in the business. While some farming women seek jobs off-farm as their children leave home, for Di it was the opposite. 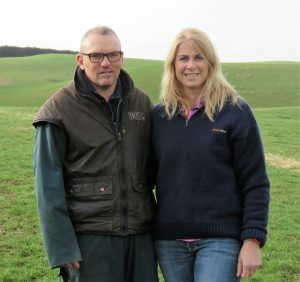 Earlier this year she left her two-day-a-week job in town to commit full-time to the couple’s 864ha farming business near Oamaru. The catalyst for Di’s decision was the renewed confidence and new skills she gained from the Understanding Your Farming Business programme run by the Agri-Women’s Development Trust and funded by the Red Meat Profit Partnership. Click here to read more. 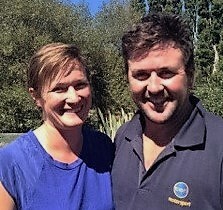 Binks, a former nurse, has regularly worked on-farm with her husband Dave on their 1,000ha sheep, beef and cropping farm in Rissington, Hawkes Bay where the couple live with their three children. Since moving there from Southland in 2014 they have grown the business together and always discussed plans for the future. Click here to read more. UYFB graduates talk about why they decided to do the programme and their experiences. Connections open up with a growing network of critical farming partners throughout New Zealand, supported by each other and AWDT. Regional groups formed by UYFB graduates offer on-going learning and support, and in turn, are supported and developed by AWDT. Click here for more info.